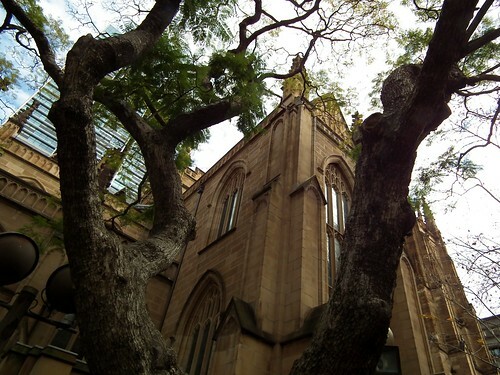 Saint Andrew's Cathedral is arguably Sydney's premier example of Gothic Revival architecture. 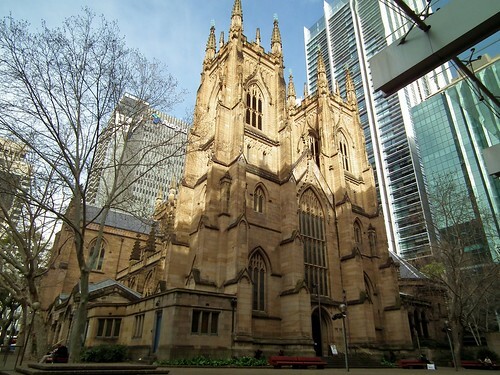 This stunning cathedral, constructed from Sydney sandstone, is difficult to miss with its central location on top of Town Hall Station. 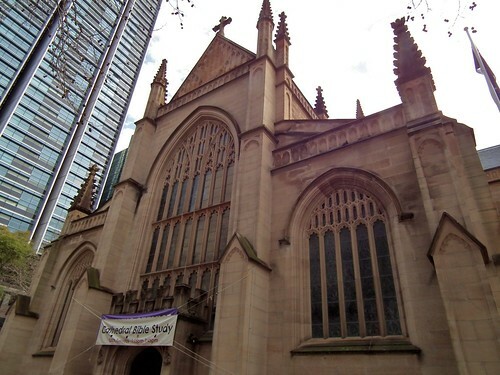 St. Andrew's Cathedral, seat of the Anglican Archbishop of Sydney, was completed and opened in 1868. 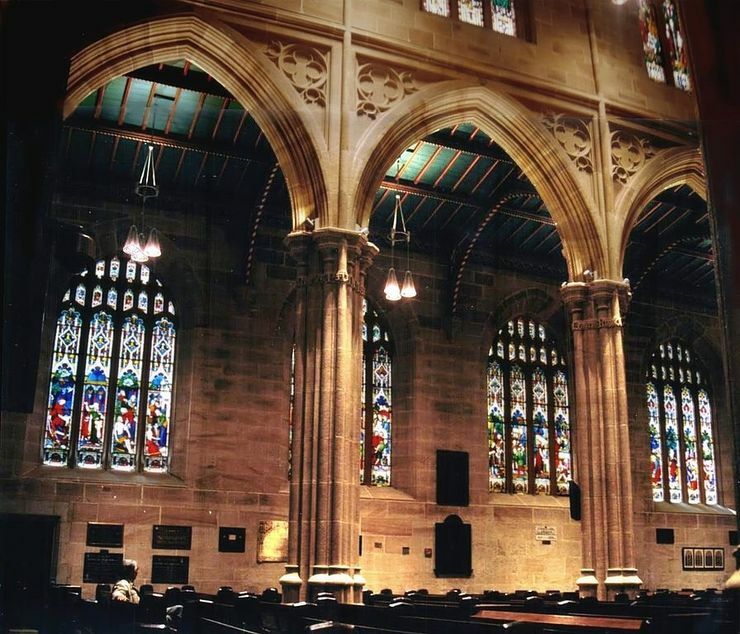 In 1886 the Chapter House was added and most recently there was major restoration work done in 1999 and 2000. 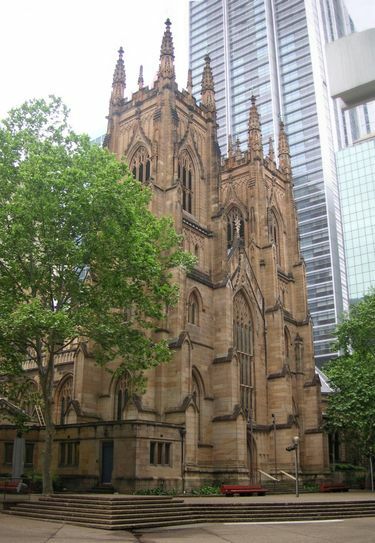 In 1965 the Cathedral installed a set of 12 bells from England that can regularily be heard ringing to announce special events and occasions of which there are many. In addition to the architectural grandeur and beautiful stained glass windows the cathedral features an incredible pipe organ with magnificently decorated pipes. 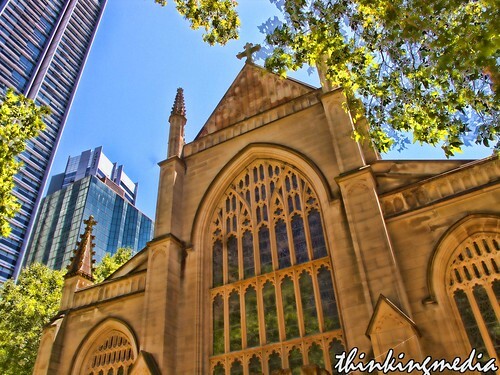 It is the largest such organ in all of Australia. Another great reason to visit St. Andrew's is to take in one of the free lunchtime concerts, a tradition that has gone on for over 40 years. On Wednesdays at 12:30pm you can enjoy a free band concert (donations are appreciated). There are Organ Recitals at 1:10pm on Thursday (nominal fee) and Young Music Recitals on Fridays at 1:10 pm (Free-donations appreciated). These lunchtime concerts are not on every week so be sure to check the official website for schedules. Hours: Hours for worship services and concerts are available from event calendar on the official website. By Light Rail: Exit at Capital Square and walk north straight up George Street. By Train: Town Hall Station exits are immediately north of the Cathedral.